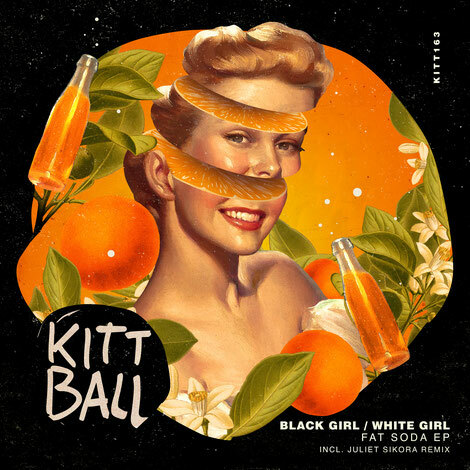 Relief Records duo Black Girl / White Girl join Kittball Records this month with the ‘Fat Soda’ EP, comprising two cuts backed with a remix from label head Juliet Sikora. The Dutch duo emerged after recognition from releases on Relief, Roush and Resonance as well as their DJ sets in venues like Tel Aviv’s The Block, Chicago Social Club in Amsterdam and Chapeau Rouge in Prague. Their releases have garnered support from figures including Seth Troxler, Pan-Pot, Latmun and Green Velvet who favoured the track ‘Loopholez’ from the duo’s ‘Space Cookies’ EP on Relief. ‘Fat Soda’ kicks off the package, utilising a bass groove and synth blip arpeggios backed by choppy vocals slices before resonant atmospherics, a vacillating low end and stereo delayed vox cuts are presented in ‘Decisionz’. Fellow Relief producer Juliet Sikora then concludes things with her remix of ‘Fat Soda’ delivering drums, metallic percussion and twisted synths.